With 2014 set to be a positive year for the Conferences industry, we asked Simon Gidman, head of Business and Events at Visit England what his predictions for this year were. With a flood of unique venues opening their doors to the corporate market and a wave of event spaces taking delegates back to nature, VisitEngland predicts that unusual venues and conferences in trees(!) will all have influence on the meetings and incentives industry in 2014. More than ever, event organisers are looking for venues that take delegates out of the boardroom and into a more natural environment to stimulate creative thinking. In 2013, corporates brainstormed alongside a group of baboons at the Monkey Playhouse in Yorkshire Wildlife park, and partook in Bear Grylls' new survival academy, offering the ultimate teambuilding course. 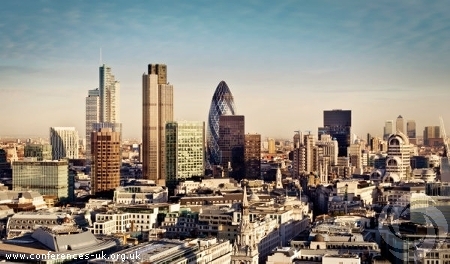 This nature theme is set to continue in 2014 with London's newest skyscraper - 20 Fenchurch Street - opening the Sky Garden, with an upside down garden-in-the-sky concept, spanning three floors, housing a champagne bar, Brasserie and Seafood Bar and Grill. Another opening in 2014 is the Blackburn Wing at Bowcliffe Hall in Leeds, whose treehouse-inspired wooden hangar offers unusual views through the trees to parkland through its floor-to-ceiling windows; offering seating for up to 80 theatre style and 140 for drinks reception. We've also noted that event planners are increasingly looking for unique spaces to hold conferences, meetings and events; with religious buildings now opening their doors to corporates - St Mary's Church in Nottingham underwent a refurbishment and is now available for event hire. Similarly, historic houses are now branching out too, with the Carlton Towers stately home in Yorkshire launching 'Downton Dinners', allowing corporates to dine in the style of Downton Abbey, while Leeds Castle in Kent launched 'Knights Glamping' in its grounds for away days with a difference. This theme is set to continue for 2014, with Sheffield Cathedral and Manchester's Albert Hall all planning renovations, enabling them to open their doors to the corporate world.